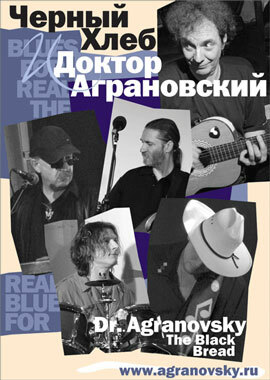 CHYORNYI KHLEB (The Black Bread), launched by Dr. Agranovsky in 1998, is a veterans band (yet handsome looking...) The repertoire includes the blues and spirituals in the original language, as well as own numbers in Russian and English. Some gospel numbers are polyphonic - arranged for the four men's voices - which makes the band unique on the local blues scene. The Black Bread music comes from the roots. In nearly chamber style, they drive in their point without electric aggressiveness. The sound and the stage image of the band tend to the air of the old-time juke joints... or the Methodist gatherings. They play in clubs of Moscow, St Petersburg, Ryazan', Vladimir, Ulianovsk, Surgut and other Russian cities. This, however, did not avert the band and/or Doctor as soloist from large-stage performances in the Moscow University, The Central House of Artists of Moscow, and the VOXSTOCK BLUES FESTIVAL in Belgrade. The Black Bread regularly appears on Russian radio and, occasionally, the TV shows. Their music has been played by the 'Radio Holstebro' (Denmark) and '90.5 The Night' (NJ, USA). Broad international recognition, a-ha. 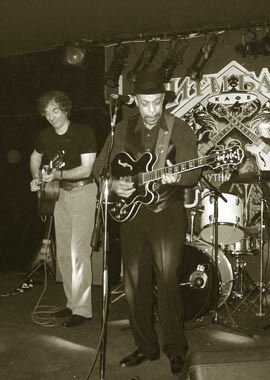 In April 2005, The Black Bread played gigs in Moscow with special guests from Belgrade, harpist Pera Joe and guitarist Vladan Stanoshevich. 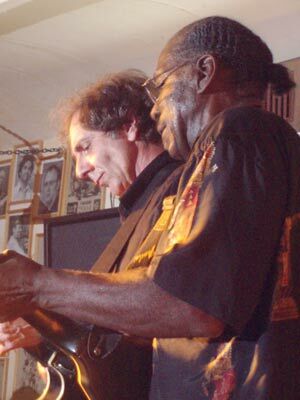 Later, with starting up the progamme "CHICAGO IN MOSCOW", Agranovsky and Itcovici invited to Russia several 'solid senders' of the American blues, the guitarists John Primer (September 2005), James Wheeler (February 2006), Lurrie Bell (April 2006), Eddie C. Campbell (December 2006), harmonica player Keith Dunn (February 2006), bass player Bob Stroger, (September 2006). 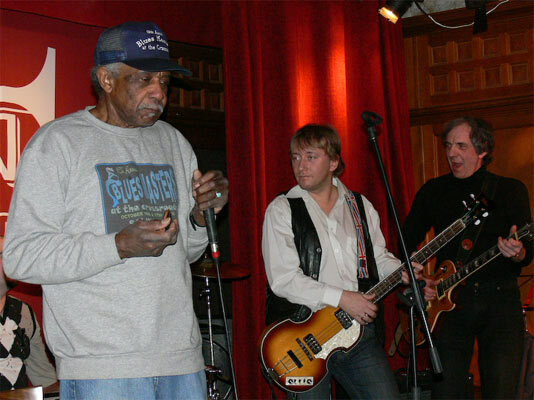 In 2007, guitarist Phil Guy (March), and singer Tail Dragger (October) were invited to play gigs in Moscow. The Black Bread's opened the shows for Primer, Wheeler, Bell, Stroger, Campbell, Guy, Dragger, and backed the gigs of Keith Dunn. 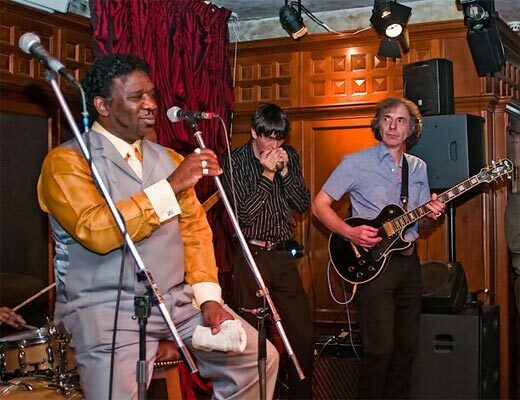 Personally for Doctor it was a great honour and pleasure to jam with Mud Morganfield, the eldest son of great Muddy Waters (October 2009), and with the blues legend bona fide, Mr. Lazy Lester (February 2010). DISCOGRAPHY: 2001 - the first CD recording of The Black Bread & Dr. Agranovsky - «Tic». 2005 - DVD record «Two For The Show» of the Bread's live performance with Pera Joe and Vladan Stanoshevich. 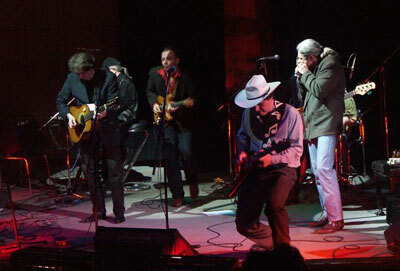 2006 - live CD record of The Black Bread «ALABAMA». More comprehensive version of the story: agranovsky.ru. Alexey 'Doctor' Agranovsky - guitar, vocals. Mikhail Olshanitsky - keyboards, back vocals. Valery Seregin - bass, back vocals. Nikolai Balakirev – drums, back vocals. Audio samples: TIC and unreleased songs.